Lynne I suggest it could have been around the Lea Hall road area. It's just down the road from Lea Village. Lyn it would take more than that to keep you out of trouble. I have the map below which I copied from somewhere , apparently 1938, which shows the area of Lea Hall farm and Bloomers (?). It also showsarea marked Shuttlewell. Not sure what that is. 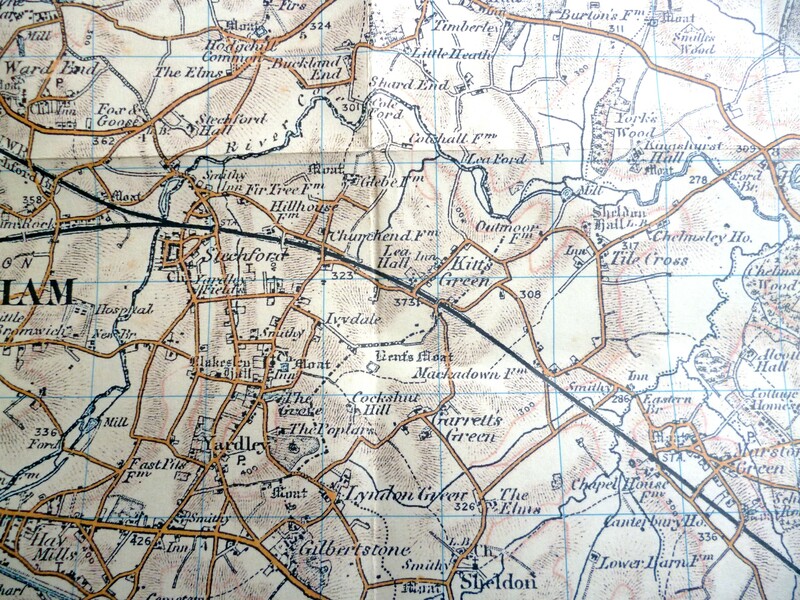 Quality is poor, so have tried to mark areas on a 1919 OS map. I think Lea Hall Farm estate is in red and shuttlewell in blue. It makes it a little clearer, though doesn't make clear which is farmhouse. 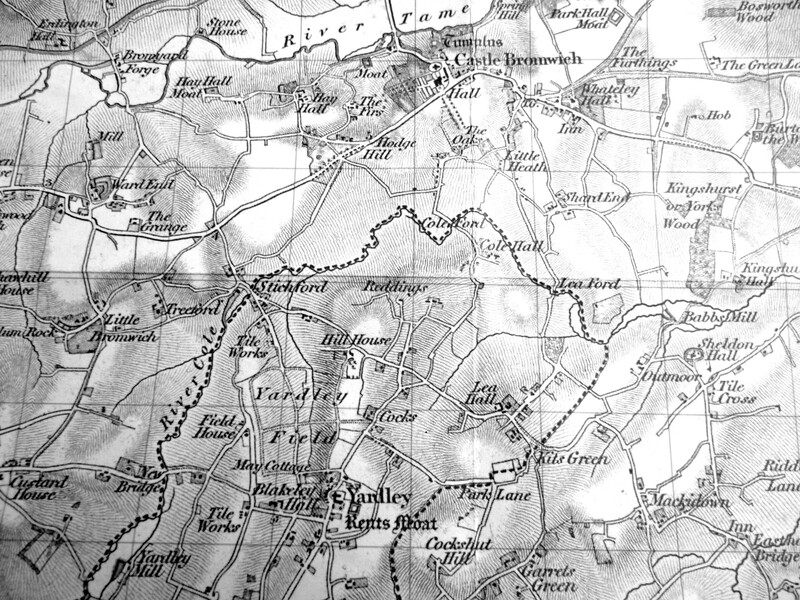 Here's an 1831 map, and for comparison a 1901 map. I think LEA HALL FARM could be misconstrued for CHURCHEND FARM. I have just found out that LEA HALL FARM was in WOOD LANE, which is in Handsworth. Istill think someone has got the name mixed up with Church end farm. 100Years Ago At yesterday's meeting of the Yardley School Board, Mr W H Bulpitt presiding, it was decided to petition the House of Commons in favour of the Sale of Intoxicating Liquors to Children Bill. Mr Griffith, who voted against the motion expressed a wish that the petition should confine itself to children under the supervision of School Boards. John the Tavern at Lea Hall was in Lea Village, it was called the Lea Tavern. The Village (and I use the term very loosly) comes under Kitts Green these days. The area is very rundown. I dont think this farm is in Handsworth. On the 1901 Census the rellie I am looking for was living at 490 Green Lane Bordesley. The children married and he died in the Meriden Registration District. I know I shouldn't assume anything but there doesnt seem to be any Handsworth connection.